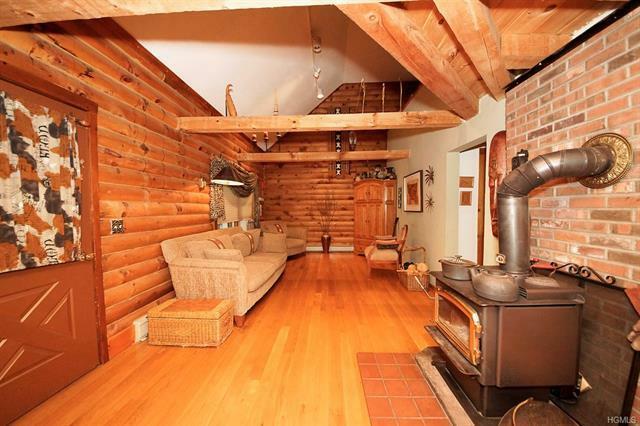 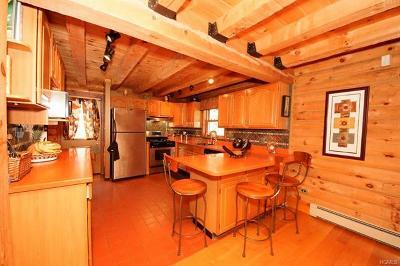 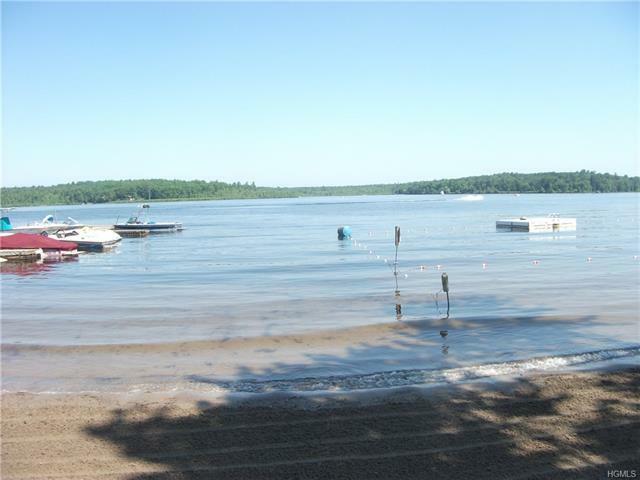 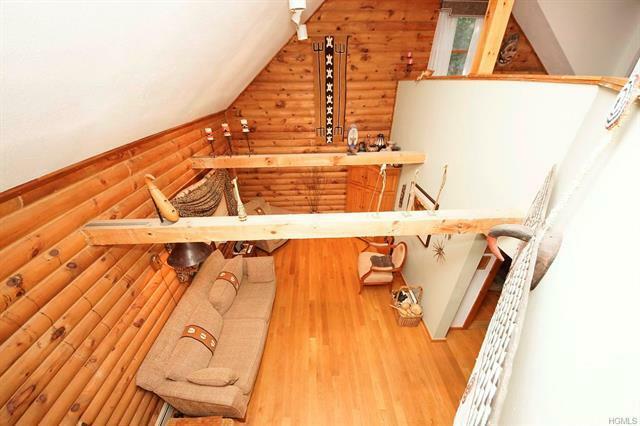 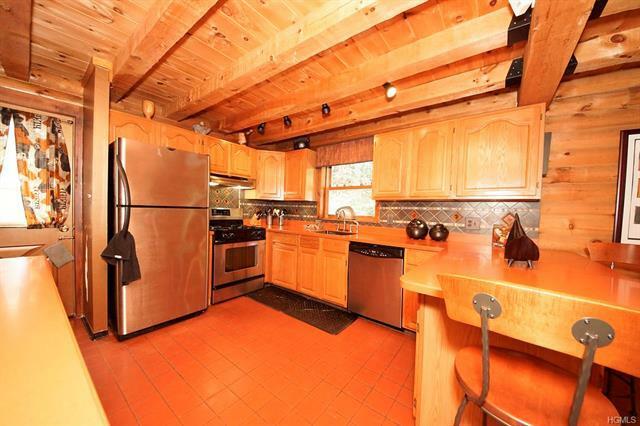 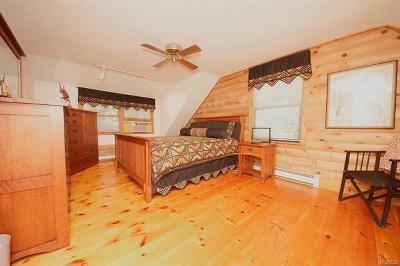 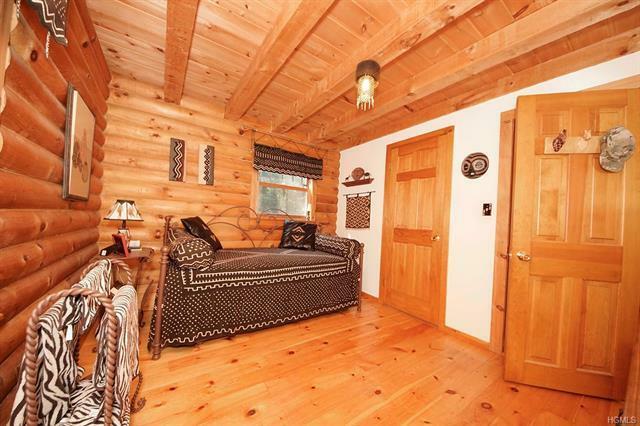 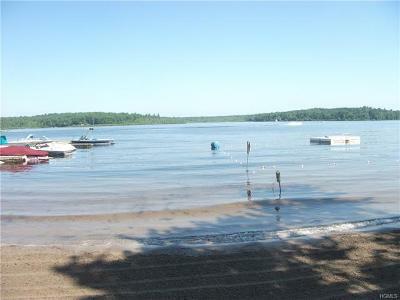 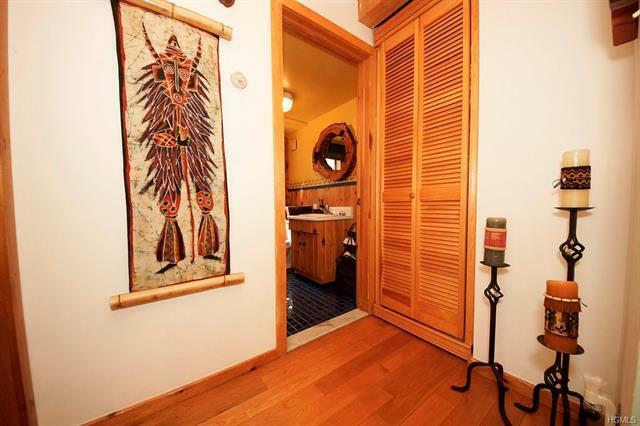 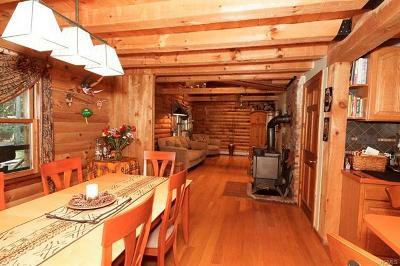 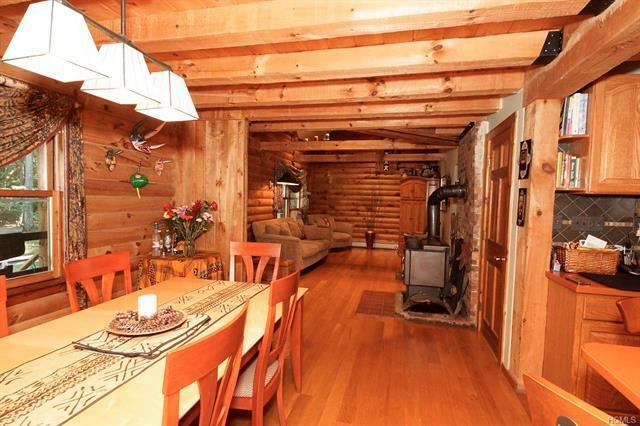 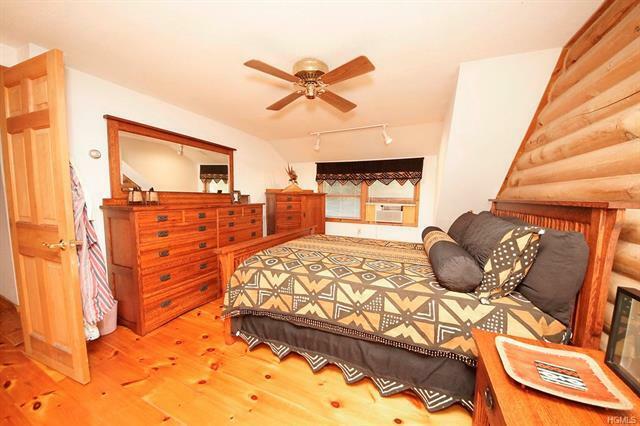 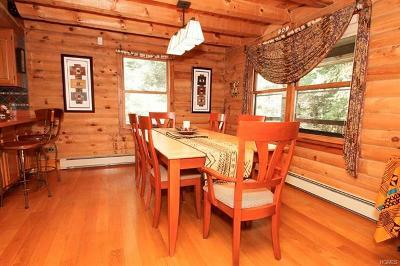 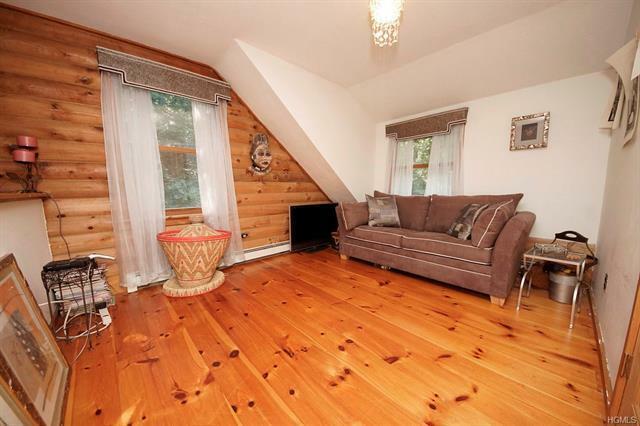 Spectacularly appointed log home close to beautiful Highland Lake. 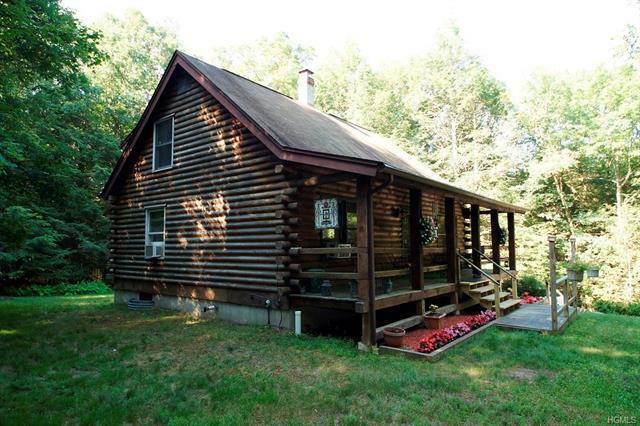 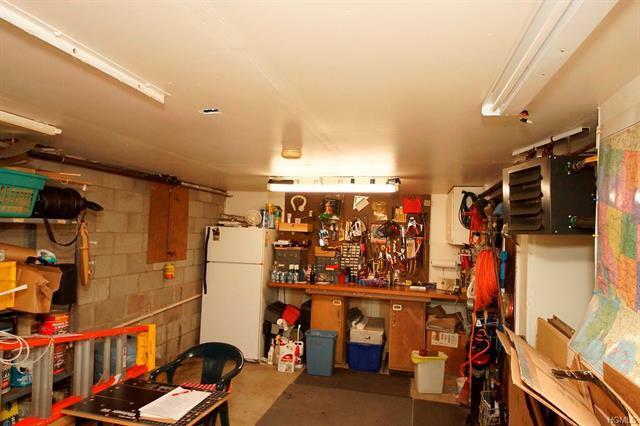 This 2 Bedroom 2 Bath home located on 1.39 acres of privacy, boasts vaulted ceilings, formal dining room, a kitchen with breakfast bar and corian counters, a living room with wood stove, second floor balcony, full basement and a heated garage. 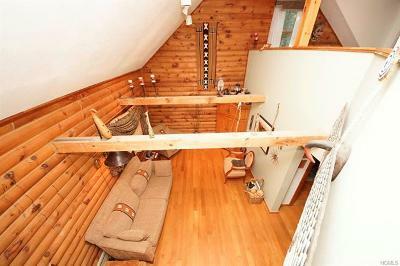 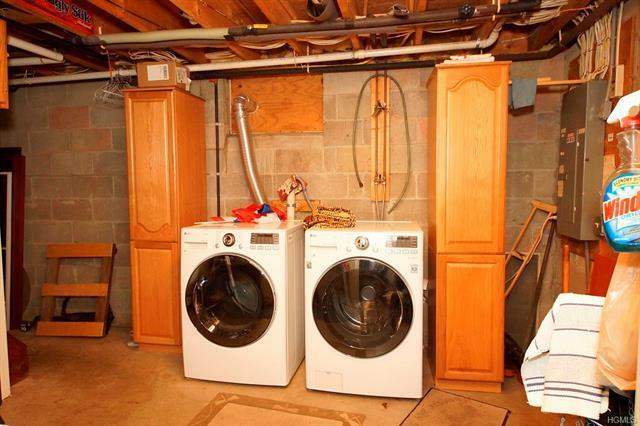 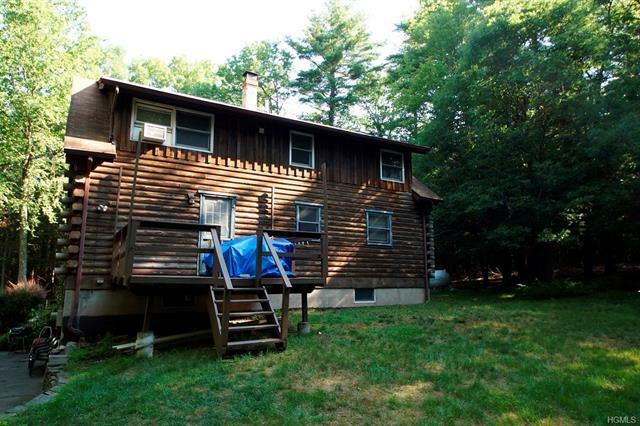 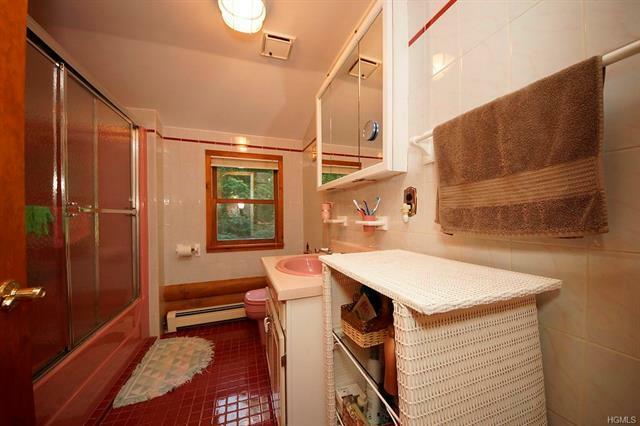 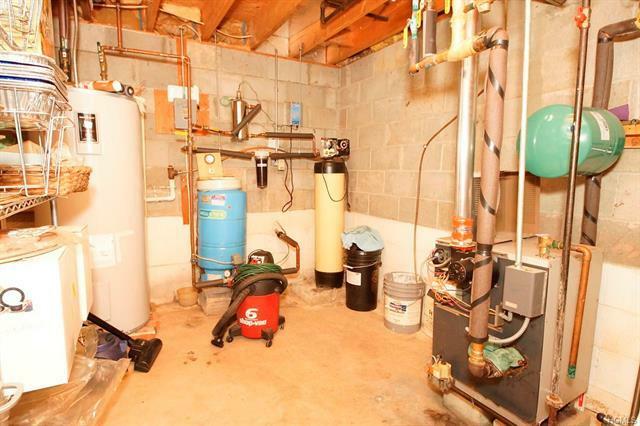 This home provides easy access to both the Delaware River for canoeing and rafting as well as the new Monticello casino.